Enter the fantastic world of interactive story games, where the choices you make shape the rest of your love story! Fall in love, get caught up in your own love triangle, and become the heroine of your story as it evolves in to a stunning romance. Will you develop meaningful relationships? Will you find true love? Download today and find out on the most breathtaking visual novel. Start your role playing and constantly unlock new episodes & love stories on the most passionate Otome game you will find! 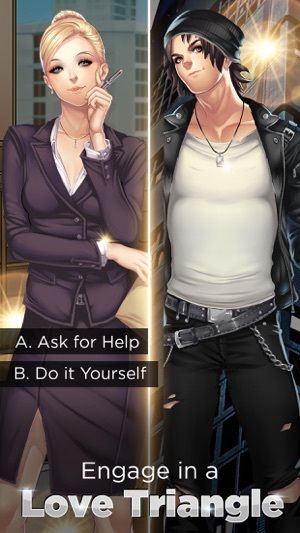 Your manager is the dreamy Gabriel Simons, who has established a reputation as a serial romantic with many broken hearts following his trail. 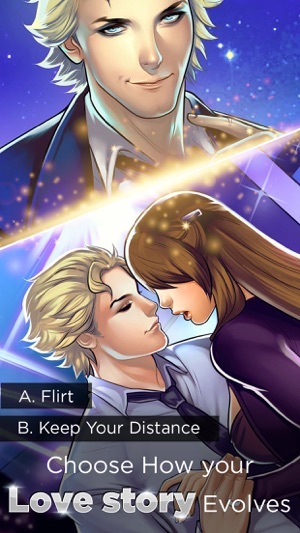 Will you be one of those girls, or will you beat him at his own flirting game? Your choices will affect the outcome! Whether you’re after the thrill, the romance, or the breezy read, Otome: Is It Love? Has something for you! 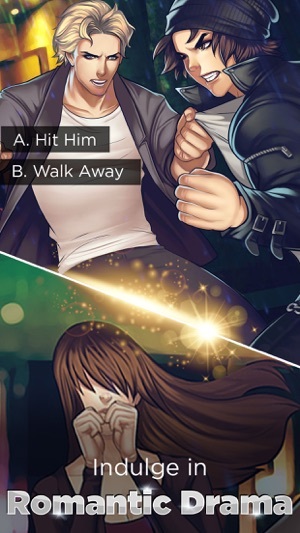 Will you choose drama? 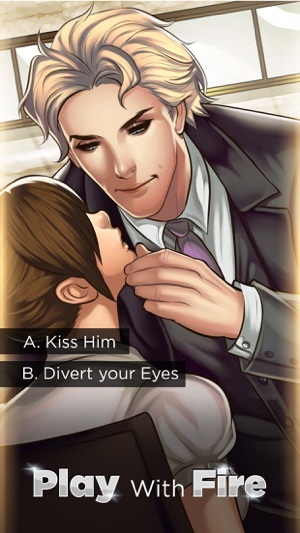 Will you choose romance? Write your story and choose your own path! https://www.facebook.com/Is.it.Love.Games to discover our new games. “Is it Love?” is free to play. However, you can pay for certain bonuses. You can disable in-app purchases in your device settings. Internet connection required, additional charges may apply. I recently downloaded each of these games. The art style, and story is good. I’m hearing from other reviewers that there are sound effects, but maybe you need earphones for those. The main downside to these unfortunately like everyone says os the energy it takes. 1 instead of a sentence costing energy, block them in segments. End on cliffhangers if you really want people to buy energy. Not just the next normal thing to say. This would also help people remember what was going on the next day, if they choose not to. 4 supply and demand evaluation of the energy potions. I think you will find that by decreasing the price, you will get far more customers buying them. For example..
That with the additional adds would pull in much greater revenue for you. Also the Ryan story might be a little hot for 12 year olds. 21 and if I had a daughter I’d hate to catch her reading that first secret scene before she was 16. Probably going to put this on each of them..
Love it! I just need to transfer energy between stories. Or give the option to buy the whole story as well. 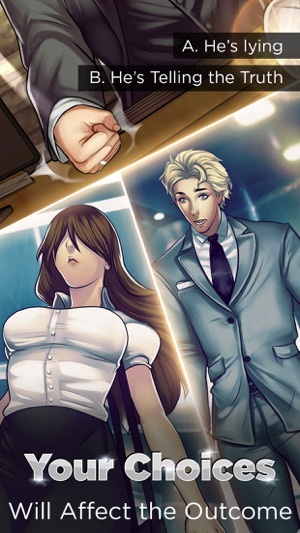 Please give sequel to Gabriel! The simplicity is a lot better, than most love games because they have too much to it. I just like the reading part, the music, and animations like you have. Maybe more sound effects :) And yeah more vids for energy a day 300 isn’t enough. Can you make the heroine/me a redhead/blonde coz brown hair everytime is too boring at least in future stories?maybe?? Anyway, I love it and keep it simple and make gradual changes if you do! This game is amazing. Once you start the first chapter you are hooked. I loved it so much I downloaded all of the " is it love" apps. The only problem is you will get hooked then you suddenly run out of energy and can't continue unless you pay, otherwise you have to wait 24 hours for your recharge! But in all this game is fantastic and I highly recommend it! !